CE News, a monthly publication by ZweigWhite, has listed a Garver project as one of 29 significant road, highway, and bridge projects in progress. Ranked by estimated cost, the I-269 Loop Highway near Memphis, Tennessee is valued at $670 million. The project is a new four-lane controlled-access interstate, and Garver's portion involves an eastern section. A total of four consultants are working on the corridor. Garver is providing engineering services for multiple phases, including surveys and roadway and bridge design. First phase services involved right-of-way plans for the project, which includes 6.3 miles of interstate highway. Garver's section involves one interchange, several grade separation structures, and a 4,000-linear-foot bridge over the Coldwater River. We are currently working on final construction plans. 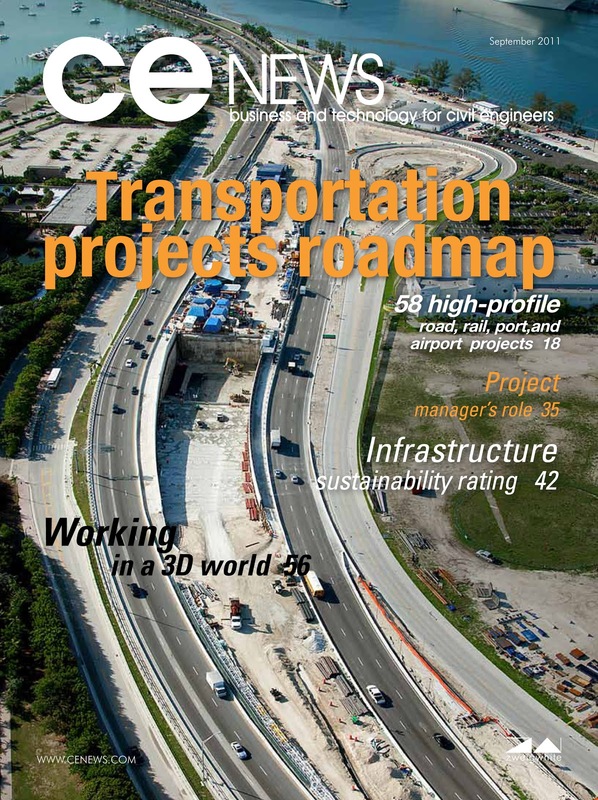 The article, Transportation Projects Roadmap, lists 58 notable infrastructure projects in road-highway-bridge, rail-transit, port-waterway, and airport. 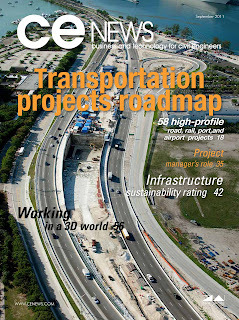 This the second annual CE News transportation projects roadmap. National Recognition in Engineering Inc.